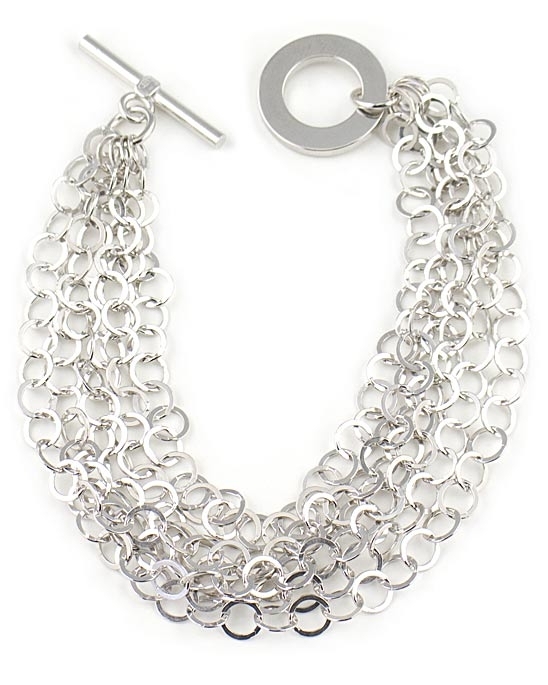 Sterling silver chains bracelet by Paula Rosellini. This beautiful designer bracelet features six rows of chains realised in Italian sterling silver. Bracelet measures 19 cm (7.5") and is available exclusively in the UK from the Farfallina Online Jewellery Boutique.